Sixways Stadium is conveniently located at Junction 6 of the M5 in the West Midlands with excellent road, rail and airport links, just a short drive from Birmingham. Take Junction 6 off the M5 motorway. 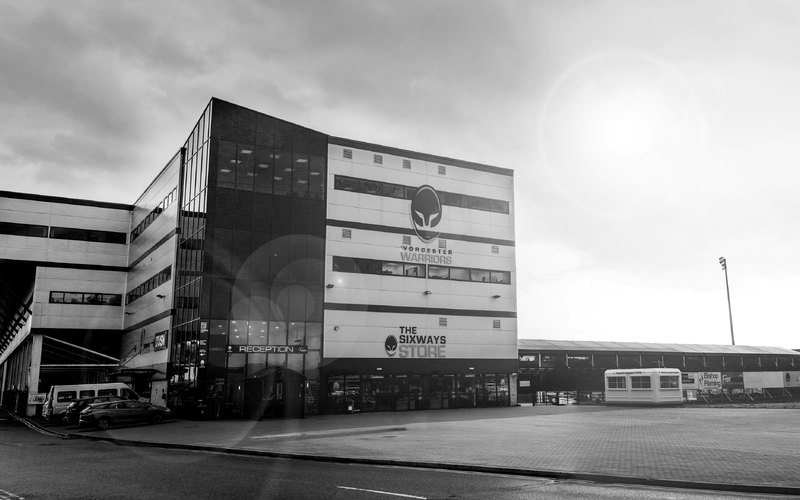 Take the A4538 to Droitwich and the Sixways complex is just 500 yards away and clearly signposted on your left hand side as you drive down the hill and towards the Sixways complex roundabout. Worcester has two stations – Worcester Foregate Street Station and Worcester Shrub Hill Station. A taxi journey to Sixways from Shrub Hill will take just over ten minutes and the journey from Foregate Street is 15 minutes. Birmingham International Airport is located just 30 minutes from Sixways on the Midlands motorway network. To contact us about matchday Hospitality, please call 01905 459342 or email VIP@warriors.co.uk.